Save On Laptops is part of the Box Limited group which was formed in 1996 and has become one of the fastest growing companies in the UK. 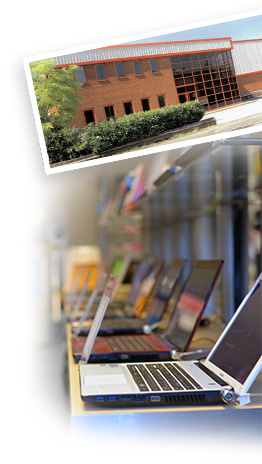 Originally based in the heart of Birmingham city centre and now based in a large head office and distribution centre in Minworth, we have quickly grown to become one of the UK’s largest online laptop and technology specialists. We firmly believe in what we do and it is our passion to bring you some of the biggest and best deals from the leading manufacturers. Because of our continued work directly with the manufacturers, we are able to negotiate and bring you incredible prices on the latest laptops, netbooks, desktop PC’s, tablets, and even smartphones. All of which combined with our dedicated and highly specialized sales team means that you get the best advice on the best deals at the best possible prices. We don’t believe in words without action and as a testament to our focus on customer service and sales, the Box Limited group was recently placed 48th in the 2010 Sunday Times Virgin Fast Track 100, which ranks Britain’s 100 top private companies with the fastest sales and growth. With this in mind, you can have confidence in our expert knowledge and efficient service, we endeavor to ensure that you have the best information to make an informed decision, and will ensure the order is as smooth as possible from payment to delivery on your doorstep. If you have any questions about a particular product, or if you’re not quite sure what you’re looking for, our dedicated and highly trained sales team is on hand to help you out every step of the way. On top of this, our no fuss Money Back Guarantee means that should you change your mind about your order within 14 days, you can return your Laptop unused for a full refund. We don’t believe in sales targets or commission sales, we only believe in giving our customers the best possible unbiased information. If you’re a newcomer to computers, or a seasoned veteran gamer, feel free to contact us with any queries and we’ll get them answered for you as quickly as possible. If for any reason you’ve encountered a problem, our support team would like to hear about it. Our highly trained team of specialists are here to help you in choosing the right product for your needs and budget. We strive to make sure each order placed with us is checked by our team so that you are receiving the best possible product from us, and if we do have any special discounts or alternative products we believe are better matched, we will be in contact with you to chat about the options. We don’t believe in expensive 08 or 09 telephone numbers, which is why all of our telephone numbers are Birmingham (0121) telephone numbers. We strongly believe that our actions speak louder than words, and unlike some of our competitors, we stand by our desire to be the best online technology company in the UK, and to provide the best after sales service. With well over a quarter of a million laptops sold to date, we certainly know how best to get the best possible prices and provide the best possible after sales support. Don’t take our word for it, have a look at some of our customer reviews below, handled by the independent Reviews.co.uk.